That’s an email Karen McClure-Richard, Director of Pine Tree Society’s Early Learning Center in Auburn, received from a mother at the end of the year. The Early Learning Center provides educational programming for young children with special needs. Sarah Burtchell’s daughter, Makayla, is three and a half years old. She was one of 32 children marking their achievements at the annual End of Year Celebration. 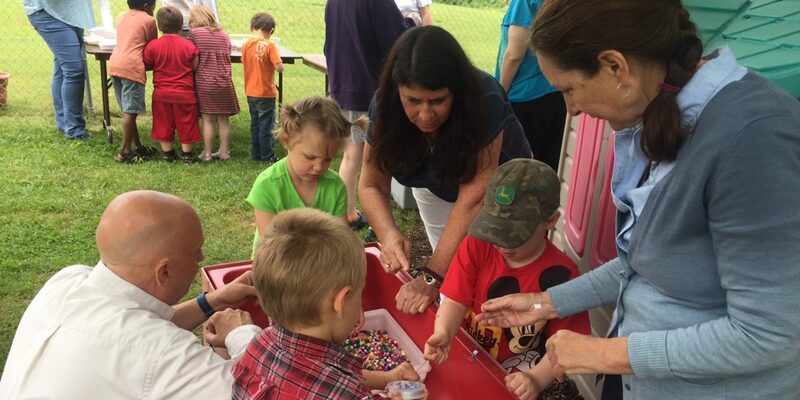 This year, students and their families decorated their own cupcakes, made beaded necklaces and bracelets, enjoyed a temporary tattoo station and viewed a special student art exhibit. All the parents received a portfolio of their child’s work. It includes everything from writing samples, to artwork, to what the child says they want to do when they grow up, to photos of them during the year. For some parents, it’s a bittersweet moment because their child is transitioning out of the Early Learning Center to kindergarten or pre-K.
About half of the students are taking the step to attend kindergarten or pre-K.
Makayla will be back for the summer program and will spend another year or two at the Early Learning Center before she’s old enough to transition to her next step.